Gastrointestinal (GI) health is directly affected by factors such as poor diet and a stressful lifestyle. The prevalence of refined sugars and carbohydrates and the low presence of fiber in the Western diet have been directly linked to the alteration of the GI microflora. Maintaining healthy microbial balance and keeping pathogenic microbes in check is an integral part of promoting optimal GI health and overall well-being. Intestin-ol provides a blend of three essential oils that act in synergy to promote healthy microbial balance and immune support. 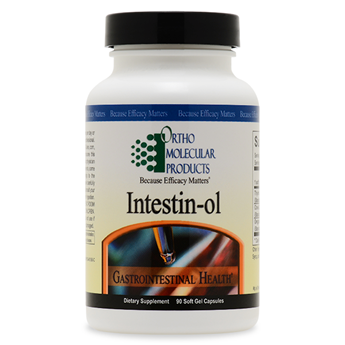 Formulated with the goal of supporting the GI flora by promoting balanced immunity, Intestin-ol includes potent thyme, oregano and clove oils. These have been used for centuries to promote microbial balance and to help protect the immune system from microbial stressors.